looks really good. i'll do a quick review of davinci's for you: hmmmmmmm 3 out of 10. Sounds magical. Sign me up. That does look like good sausage. Sold. I second the deliciousness of the sausage. It's quite tasty. I went today, based on this review. I got the review from the EnjoyKnox Twitter link. Props to them for hyping your website, and props to you for hyping Dazzo's. I went with a friend, and we got the 'Grandma' pizza and the calamari appetizer. It was delicious (and crowded @ 1pm). I told Dazzo that we came to his restaurant based on your review. He was pleased to hear, and asked for the website. I am e-mailing him the link right now. Although I am Italian, and the picture of the pizza looks great, you better check out his score the health department gave him. 67 is not too impressive. We ate there last night. The sauce was pretty good. The service was preeeeetty bad. I always want small and privately owned businesses to succeed, so I hope this place gives their servers and register staff a course on manners and timeliness. If you work in a restaurant, you should never, ever chew gum. According to the Health Department's website (http://tn.state.gegov.com/tennessee/search.cfm?i=1127880), they recieved a score of 85 on 1/5/09. 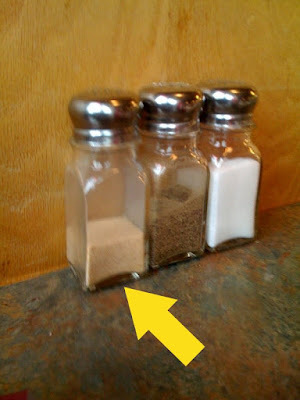 I work in two resturants downtown and it is a known fact that the health department will deduct points based on little things, like not having plates turned upside down, or not hanging a broom and dustpan. So don't look too much into the 85% they recieved, for being brand new, that is actually pretty good. ps... i eat there all the time, the food is AMAZING. Heading downtown for dinner is not the norm for me, but I'm willing to change that, as long as Dazzo's is on Gay Street. The pizza, both regular and sicilian, is GREAT! As a recent transplant from NY (NYC and L.I. ), I was really missing NY pizza. 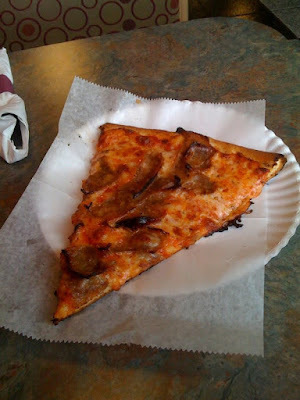 If I closed my eyes while enjoying a slice of Dazzo's pizza, I could easily imagine I was back in my favorite pizzeria in Queens. YUMM! I haven't been there but it was packed when I drove by at lunch today. The front door as open. I'm going soon. 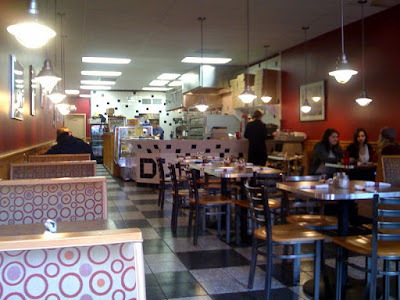 Just got back from Dazzo's and it wasn't just good...it was GREAT! I moved here from NJ last year and have been on a quest to find AUTHENTIC Italian food. This place can give any NJ and NY restaurant a run for their money. EXCELLENT!!!! Dazzo's is an inviting restaurant for any age group. The pizza is fantastic and the service is always prompt. The owner will create any pizza the client requests. I would ask for his opinion on your choice, it is always an honest answer. Go eat there!! You will not be sorry!